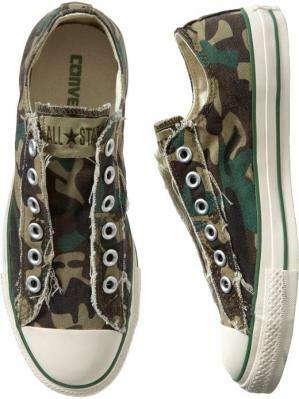 Camo printed cotton canvas upper with deconstructed edges. Metal grommets with laceless styling, built-in support beneath tongue for a snug fit. Rubber sole with striping and toe cap, logo patch at tongue.